Review: "ShamRain: Isolation" - Sea of Tranquility - The Web Destination for Progressive Music! 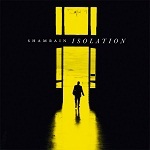 Formed in 2000, and releasing their debut full-length in 2002, the Finnish atmospheric rock act ShamRain can certainly be said to be veterans, and their experience as musicians and song smiths certainly shine through on their latest album Isolation. While typically characterized as an atmospheric rock act, I do not really think that the music on this release is that atmospheric or ambient. Actually, it strikes me as being rather minimalistic and compact in terms of composition and performance, especially when it comes to the guitars, bass, and drums. However, the band's use of keyboards and synths does contribute with a layer of lushness, which sometimes borders on being atmospheric and sometimes is of a more symphonic nature. This combination of minimalism and lushness generates a quite interesting texture, which is ubiquitous on this album. Stylistically, Isolation seems influenced by both 90s alternative rock and 80s new wave rock, and with their use of driving bass and drums plus semi-clean almost shimmering guitars, ShamRain seem to be inspired by the likes of early U2, The Pixies, and perhaps The Cure, as their music has the same dark and melancholic feel to it. An interesting aspect to this release is the use of soft and volatile female vocals, which is something that adds both a warmth and vulnerability to the overall sound of the album � needless to say, the vocals go well with the music. Isolation is a well-composed and well-produced album which, with its melancholic feel and melodic nature, should appeal to fans of Gothic rock, alternative rock, new wave rock and other more introvert and shoe-gazing types of rock music. 1. How Can I Make It Through the Night?